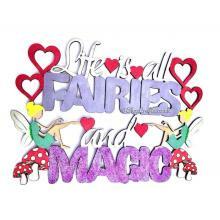 "Life is all Fairies and Magic" hanging quote sign. 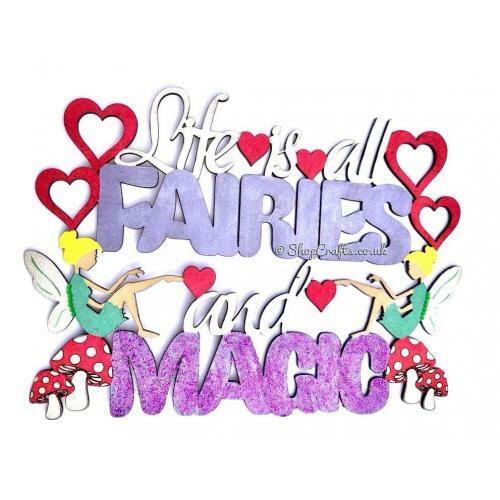 Perfect for brightening up a bedroom, nursery or play room this hand painted wooden sign features two fairy characters and the words "Life is all Fairies and Magic". 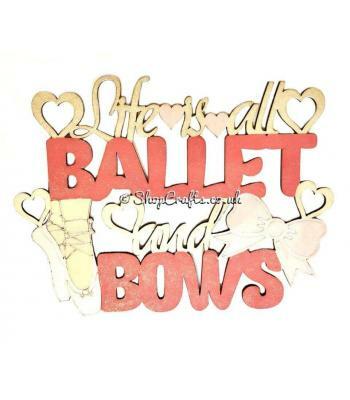 It is painted in bright colours and embellished with glitter and gems for added sparkle! As this item is hand painted you can choose different colours to those used in the pictured version - simply choose your preferred option when ordering. The reverse will be left in the natural wood finish. This item can come in either the standard 3mm thick MDF or for a small charge you can upgrade to 6mm thickness. Display options - The sign could be hung on the wall with either ribbon or twine or you can hook the sign onto nails. if preferred you can also display it sat on a shelf. 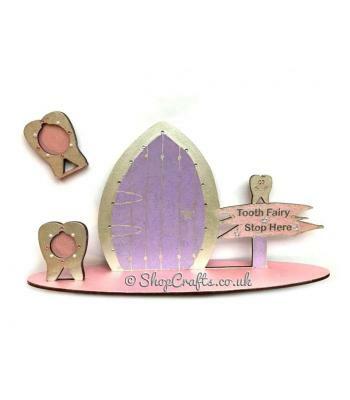 Tooth Fairy door (on stand) with coin holders - star design. 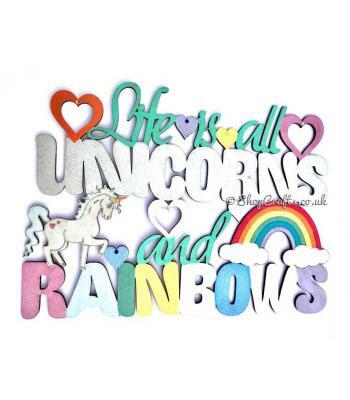 "Life is all Unicorns and Rainbows" hanging quote sign. 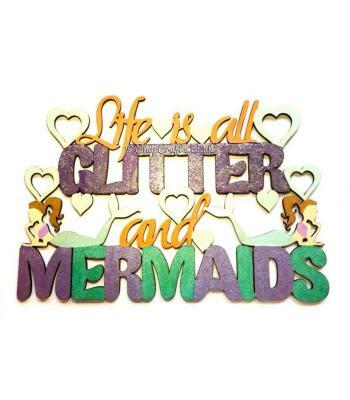 “Life is all Glitter and Mermaids” hanging quote sign. 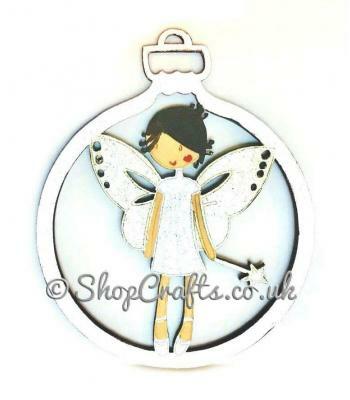 Fairy character christmas tree bauble. 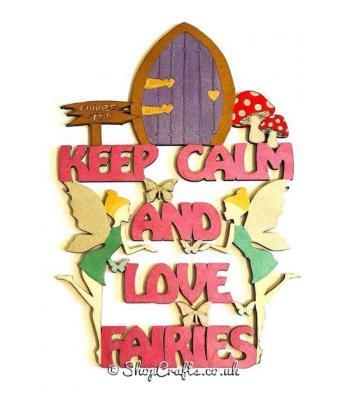 "Keep calm and love fairies" hanging quote sign.